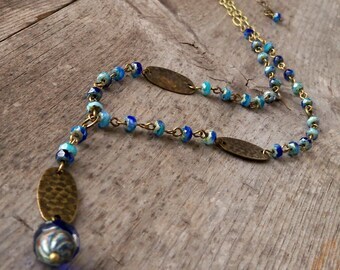 This listing is for a truly unique bead necklace, perfect for a casual beach wedding or your summer vacation. Just discounted!! Originally $44.99 now $34.99. 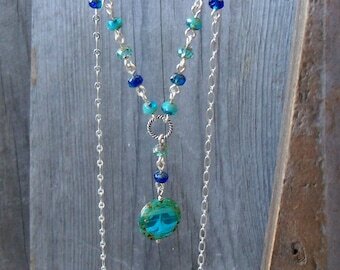 This women's beach necklace is truly a one of a kind necklace. This shell fragment is very unique. 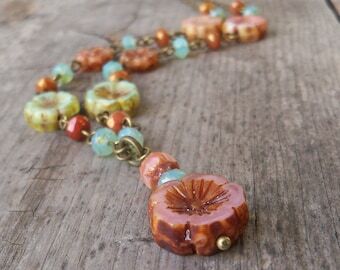 The colors, the shape, and smoothness all work together to make a unique necklace. The shell fragment was picked up off the beach in Southern California (by me). 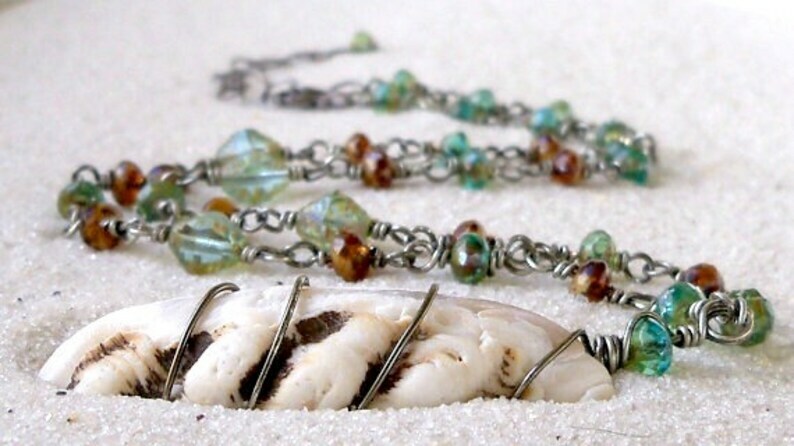 Each bead is securely wire wrapped and the colors and wire combination is just beautiful. The wire is a gunmetal wire that when working with it begins to look more like antique silver. The largest bead is a 6mm bead. 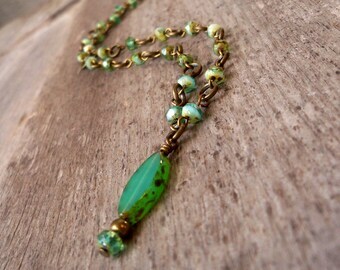 All the beads are premium Czech glass. 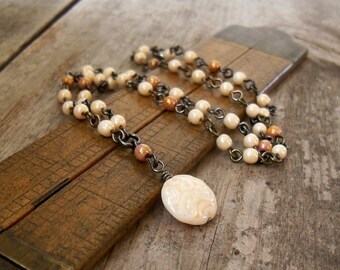 Necklace is 16 inches with a 2" extender. The shell fragment is approximately 2" in length and about 1/2" wide. It has been well worn by the surf and sand and is very smooth.